Last weekend, I had the opportunity to run a Track and Sign certification event in beautiful Humboldt County, California. We visited a variety of field locations including coastal dunes, redwood forest, and riparian habitats. 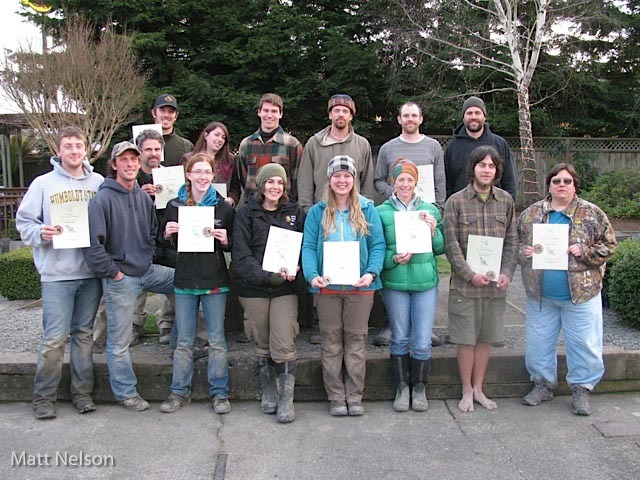 Participants included students from Humboldt State University's Wildlife program as well as professional biologists and naturalists from elsewhere in northern California. Here are a few highlights from the evaluation. 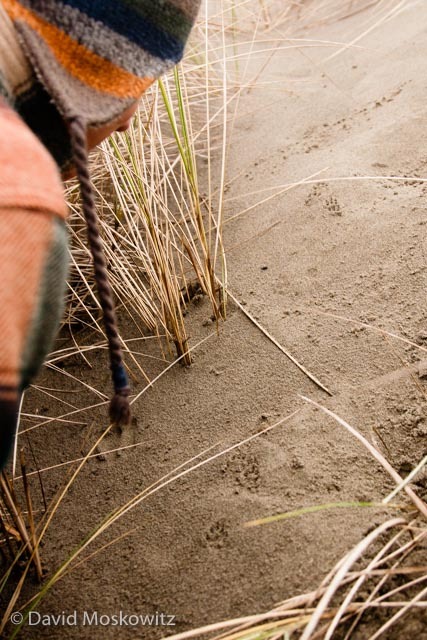 Inspecting the tracks of a bounding long-tailed weasel (Mustela frenata) in the coastal dunes close to Arcata California. Long-tailed weasel tracks. Photo by Kim Cabrera. Kim has an amazing collection of track and sign photos posted online at her website: bear-tracker.com. Click on the image to check it out! Alison Osgood inspects a redwood tree. Participants in the evaluation had to determine what removed the bark from this young redwood tree and why. The answer: A black bear removed the outer bark so it could feed on the cambium layer. Track and Sign Specialist Matt Nelson leads a conversation about the trail of a black-tailed jackrabbit. Click on the image to find out more about Matt Nelson and his work at redwoodcoastanimaltracking.com. Front (below) and hind track of a bobcat. There were a number of questions about bobcat tracks on the evalation. photo by Matt Nelson. Congratulations to everyone who participated in the Evaluation, all of whom earned a Certification! LEVEL 3: Natasha Dvorak, Kim Cabrera, Shane Brown, Preston Taylor.